‘Starshine Music Studio’ YouTube Channel: Check out some YouTube channels and videos that we like – ‘Music Fun’ and ‘Music Research’. 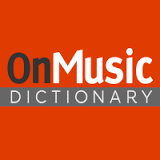 On Music Dictionary: Search for musical terms, instruments, composers, and symbols. Virtual Piano: Enables you to experience the piano on your computer – online. Sound Junction: Produced by the ABRSM (Associated Board of the Royal Schools of Music), the main instrumental examining body in the UK. Listen, explore, discover, create! 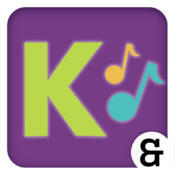 ‘Kindermusik’ iPhone Radio App: Download this fun, useful app (includes lyrics! ), and enjoy it on your iPhone, iPad, or iPod Touch. 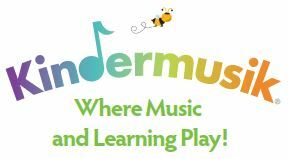 Play ‘Kindermusik’: Discover familiar lullabies, old favourites, nursery rhymes, folk tunes from around the world, and a few ‘Kindermusik’ originals. 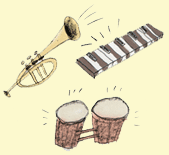 Musical Mysteries: Musical games and activities for ages 7+. 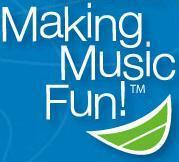 Making Music Fun: Free, creative music education resources, for the purpose of building kids up in positive ways. Classics For Kids: Classical music’s great composers come to life through music, stories, and games. ‘Dallas Symphony Orchestra’ Kids: Instrument encyclopedia, orchestra seating chart, games, music theory, classroom activities, and information about attending the Symphony Orchestra. ‘San Francisco Symphony’ Kids: Teaches the instruments of the orchestra, the basics of reading music, and has an online radio to listen to some of classical music’s greatest hits. ‘New York Philharmonic’ Kidzone: A place for kids to come and learn about the ‘New York Philharmonic’, and about the instruments, music, and musicians. Morton Subotnick’s ‘Creating Music’: Evolving environment for online music creation and exploration through interactive games.